When I retired, I realised that I then had the time to do something that I had always wanted to do – write a book! So far, I have now written three, much to the dismay of my wife! Different books take different times for me, depending on the content and any research required. My first book, Dog Days in The Fortunate Islands was quite quickly completed, because everything about the contents was so fresh in my mind. My second book, Prunes for Breakfast, required a lot of research, and so took well over a year. 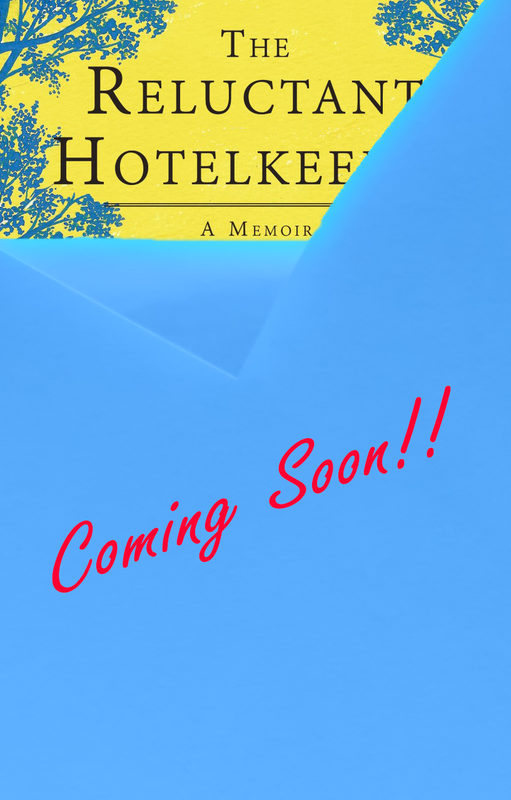 My latest book, The Reluctant Hotelkeeper, has taken even longer, because it was interrupted part way through by moving house down to West Sussex, and a lengthy spell of illness. That book is now ready for the printer. All three books have been published by Troubador in England. After a couple of rejections, I sent my first manuscript in to the MD of Troubador who responded within a week with an enthusiastic “yes”. My first book details the exploits, dramas and excitement of moving from England to live permanently in the Canary Islands. It was quite a stretch for a couple of retired people and their dog, Freddie. His exploits take up a large part of the book, as does driving down from England in an old classic car, 27 years old, and likely to expire at any moment. Prunes for Breakfast was all about the life of my late father in WW2, right from his enlistment to his return home when the war ended, after being captured in Normandy and then imprisoned in a German prisoner of war camp. I was helped by having a cache of wartime letters between my parents. Book three, The Reluctant Hotelkeeper, is a sort of prequel to my first book, and is all about a thirty-five year journey of mine to turn a dilapidated but beautiful old building into an award winning country house hotel. I wrote my first book nearly five years ago, as I was nudging 70 years of age. They all think I am quite barmy. I learned that, although I had received a good education, it was of little help in writing books. Structure and flow are important, as is a good editor to knock it all into shape when I stupidly think that my work is done. I have written three books – so far – and my favourite is Prunes for Breakfast. I learned so much about the past, my family and particularly my father, from doing the research for that book. ​Have you ever wanted to write fiction? No. I don’t think that my brain is wired that way. Do you have any suggestions to help a fellow author become a better writer? If so, what are they? Be prepared to set realistic time aside, work out a detailed plan, and get a good editor lined up. When the book is finished, then the hard work starts – the promotion and publicity. That is where Rukia have been so good for me in the past. ​What do you think makes a good story? If you can’t hook a reader with a good front cover, a short blurb on the back cover, and an interesting first page, then your have lost. The book needs structure and the maintenance of a level of interest throughout. When you read, is it primarily non fiction or do you delve into fiction work as well? I am an avid reader of fiction and non-fiction. I like Bernard Cornwell, Lee Child, John Grisham and Mandy Scott. I also have the complete works of Alexandre Dumas. I always thought that I would be an archeologist, geologist or possibly a farmer. Do you have a question for Author John Searancke?